Were you ever the new kid in class? Maybe a bit overwhelmed by both the rules of the classroom as well as the playground – written and unwritten – and struggled to make sense of it all? All of those rules have a way of shedding a shadow across those first days in a new school, creating a never ending glisten on your forehead, elevated pulse rate, and generally uncomfortable feeling. When you're new to something, it's often a struggle to blend in, find your footing, and try with all of your might to not make a fool out of yourself. Companies face a similar set of obstacles when new to the wonderful world of Sarbanes-Oxley. It’s a different way of processing, operating, and even thinking in certain circumstances. SOX is intimidating and saturating – sometimes justifiably so, other times not – and creates another worrisome set guidelines to abide by during an already busy and complicated time for an organization. Of course, your friends here at Embark wouldn’t write such a foreboding introduction without a feel-good, heartwarming conclusion. As you likely already know, that’s just not how we roll. We are the epitome of using a spoonful of financial sugar to make the compliance medicine go down. To that point, we have prepared another healthy dose of our sage wisdom, “The Roadmap to Implementing SOX Compliance,” for companies new to SOX and the intricacies of section 404, what it requires from companies, and the best ways to implement proper policies and procedures. It’s a page-turner, barn-burner, and a thrill a minute. Well, that’s a slight exaggeration, but we promise it will be extremely useful for a company new to SOX. In our new guide, The Roadmap to Implementing SOX Compliance, we take the time to explain what section 404 entails, what to expect from it, and discuss SOX compliance in a realistic light. Our goal isn’t to intimidate but to inform, convey what companies have waiting for them without unnecessary shock and awe. We describe the internal controls needed for section 404 compliance, why those controls are essential, and what a company new to SOX should expect in both the near and prolonged future. Embark’s new guide, The Roadmap to Implementing SOX Compliance, takes the time to properly define materiality, the importance of adequately scoping line items, and the overarching need to identify needed controls and the risk of material misstatements those controls are meant to address. It’s a comprehensive but concise approach, thorough without being overbearing to a company new to SOX. Understanding that terminology and concepts don’t exist in a vacuum, we also put our explanations of these various components to section 404 compliance into a useful context, making them easily understandable and digestible. While we’d be lying if we said SOX is a walk in the park, it also doesn’t have to be a source of undue stress. 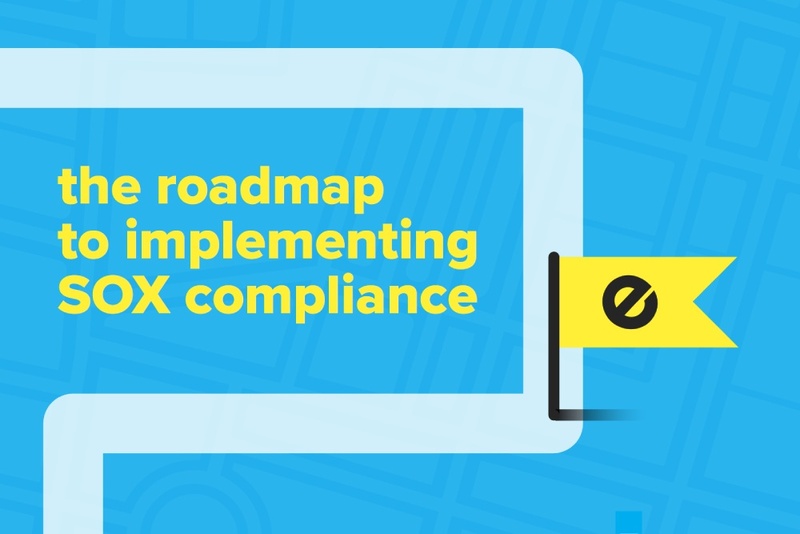 Take a moment to read our guide, The Roadmap to Implementing SOX Compliance, follow Embark’s lead, and your journey into SOX will be better informed and – if you take an organized and meticulous approach – as smooth and streamlined as possible.